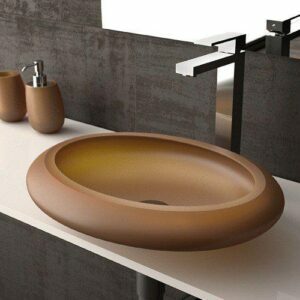 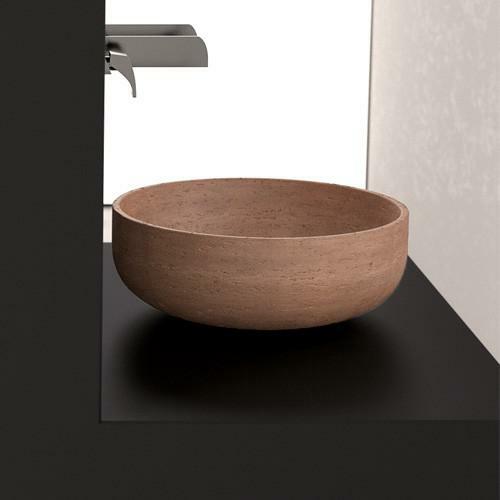 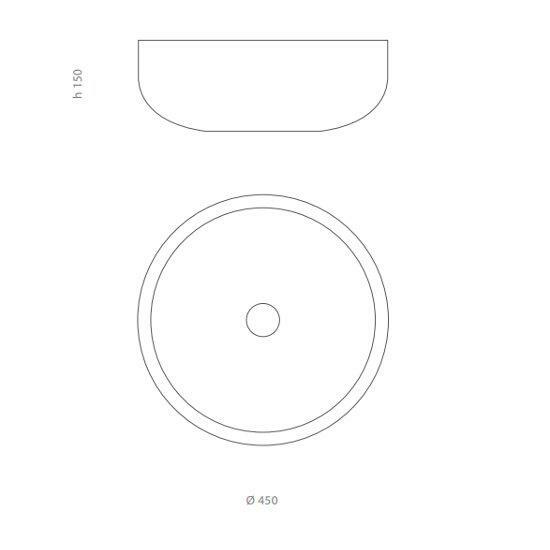 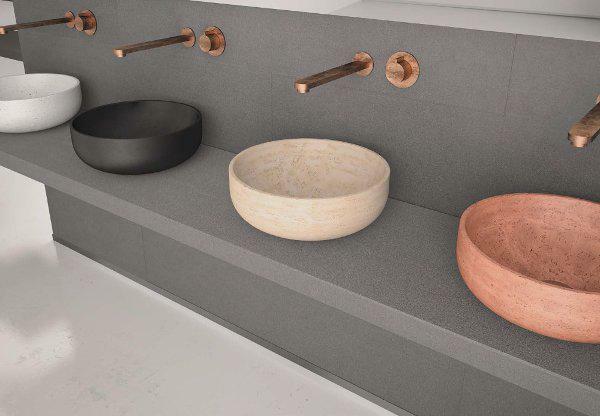 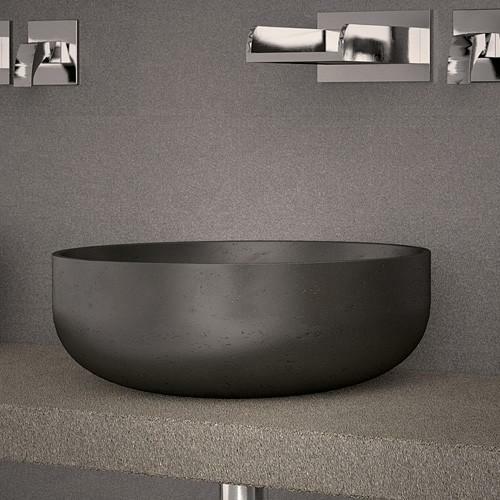 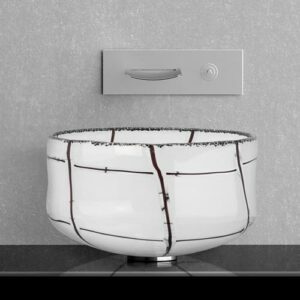 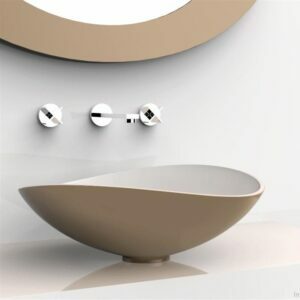 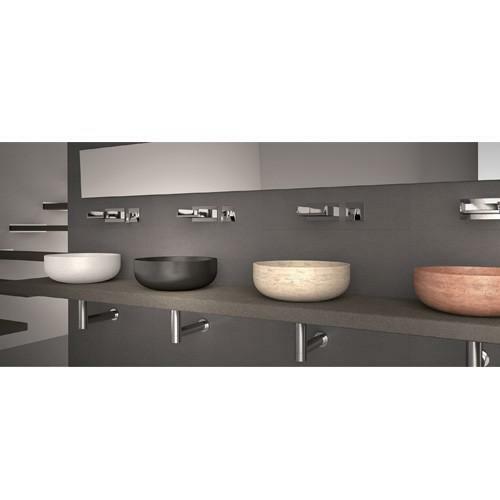 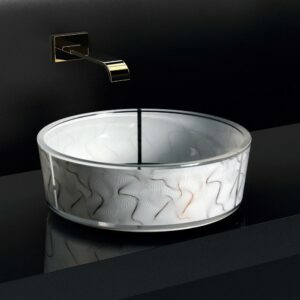 RAPOLANO 45 round countertop washbasin in Teknoform® diameter 35 or 45 cm, a material composed of various polymers. 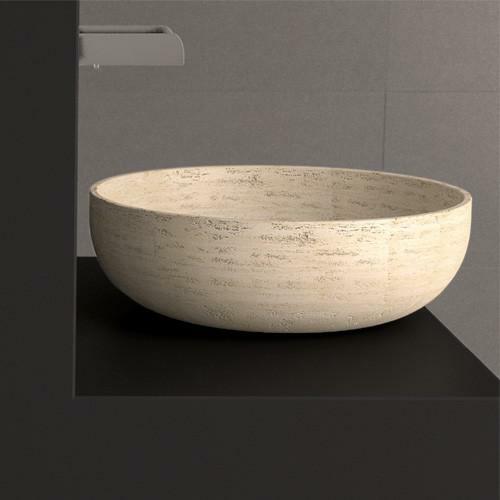 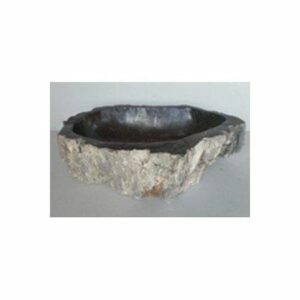 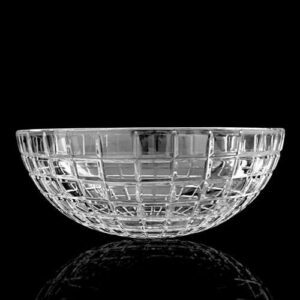 Enhancement of material surfaces through the composition of stone powder and resin. 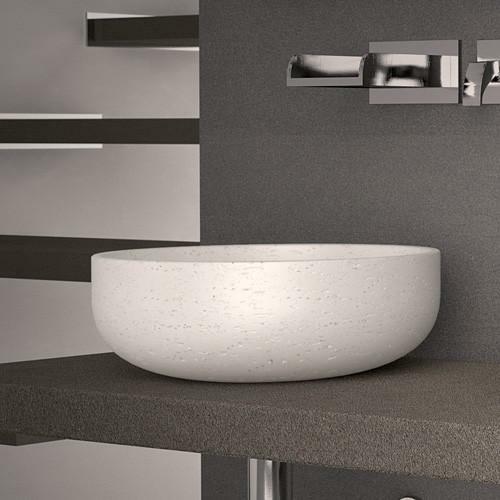 Unique and natural product inspired by the world of nature, available in the colours: natural, white, anthracite and cotto.